Home / Spirituality / How Has Hinduism Influenced Social Structure In India? 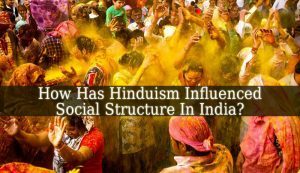 How Has Hinduism Influenced Social Structure In India? – The answer to this question is easy. Hinduism strengthened the power of the caste system. 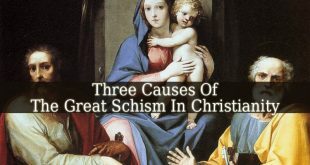 Which influenced majorly the social structure of the whole country. If you are not familiar with the Indian culture, you might not heard about the caste system. Let’s see what is it and how does it work. It is a social system which places people, from birth in different social classes. Mostly due to the family that they’ve born into. Although, the family that you’ve born into shouldn’t define you, but this is what Hinduism believes. If you were born in a social class or caste, you will live like that your whole life. Although the caste system influences the social structure of India, it is followed only by Hindus. Non-Hindus reject the idea of the social classes. But even f you were born in a lower caste, nobody can discriminate against you or look down on you. Also you can’t change your caste. And there is rarely marriage between two people of different castes. Brahmana – the spiritual teachers and masters. They dedicate their lives to learn spirituality. And to teach others. Kshatriya – those who create safety and protect. They dedicate their lives to work in law and order, public services, defense and others. Vaishya – the providers. They dedicate their lives to become merchants, traders, businessman and to do commercial activities. Shudra – the workers. They dedicate their lives to work and labor. Some might think that these classes are harsh and discriminatory. But it is part of Hinduism. These systems are practiced for thousands of years by Hindus. Also, it is legally punishable to discriminate against a person due to the caste that he belongs to. Therefore, there is still respect and compassion between the classes. Although, these castes are normal in India, for a westerner they seem in-equal and discriminatory. And this is not only the westerner’s idea. Buddhists also reject the castes.